Srinagar, Feb 7: Jammu and Kashmir police filed a charge-sheet against ten persons, including a journalist for allegedly providing support to militants who killed a Selection Grade Constable (SgCt) Parvez Ahmad during a Cordon and Search Operation (CASO) in Srinagar on August 12, 2018. 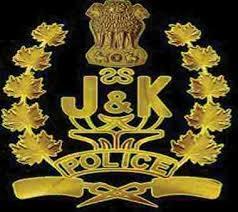 A police spokesman said on Thursday that the Srinagar Police submitted the charge sheet in respect of case FIR No 173/2018 of Police station Batamaloo. Following a tip off about the presence of militants, a police party conducted CASO at Deyarwani, Batmaloo on August 12,2018. However, when the security forces were moving towards a particular house in the area, they came under heavy fire from militants hiding there in which a SgCt Parvez was critically wounded. Security forces also retaliated but the militants managed to escape. Some civilians were also injured in the incident. Later, security forces conducted massive search operation in the entire Batmaloo but militants had escaped. He said a case was registered in police station Batmaloo and investigation taken up. During the investigation, role of ten people was established for helping militants who fled away from spot after indiscriminately firing at Police party SgCt. Parvaiz got martyred. He said after conclusion of investigation, the charge sheet has been filed before the competent Court by Srinagar Police under different sections of the RPC and Unlawul Activities (Prevention) Act against ten accused including Mohammed Shafeeq Bhat and Waseem Khan, residents of Deyarwani Batmaloo, Bilal Ahmad Bhat, resident of Kund Qazigund; Mst.Shazia Yaqoob alias Pari, resident of Kamad Anantnag and Asif Sultan (journalist), resident of Firdousabad, Batamaloo. ''They have been charged for their alleged role in hatching a criminal conspiracy for the militant act, harbouring militant and “giving support to the proscribed organisation,'' the spokesman added.